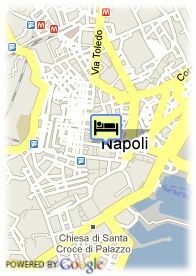 Via Armando Diaz 44, 80134 Naples, Italy. 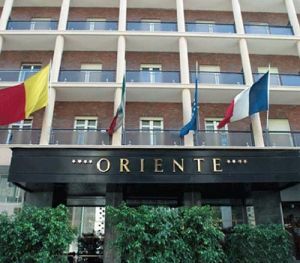 Hotel Gran Oriente is just a few steps from the Business and Monumental Center, Gran Hotel Oriente it is an ideal place for getting around and reaching any part of the city, it is a great choice for leisure and business travellers alike. It Is at 10 minutes far from the Railway Station in Garibaldi Square, 15 minutes from the International Capodichino Airport and just 10 minutes from the access to the principal motorway system. It has a 131 spacious rooms are classic in style, offering every sort of comfort and technological convenience. The terraces of the top-floor rooms and the suites command an admirable view of the city's magnificent panorama: the port, Vesuvius, the majestic Museo di San Martino and Castel Sant'Elmo. The rooms fall into two categories: Standard and Superior. Paid public parking near the hotel (covered) (19.00 €). Museum Area, Near the historic centre.